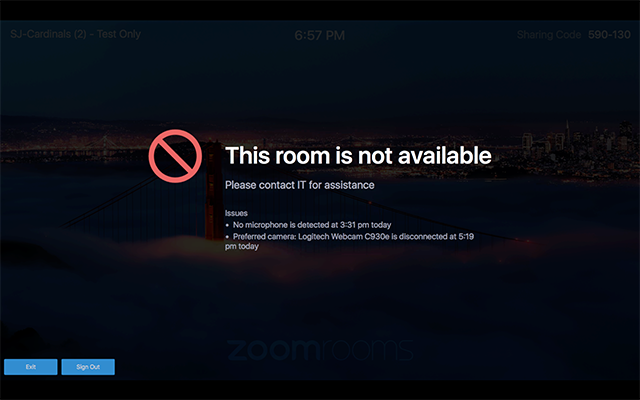 Zoom Rooms will display alerts such as system is unavailable, audio is disconnected, etc. on the TV display. You can also add the IT contact information on-screen.